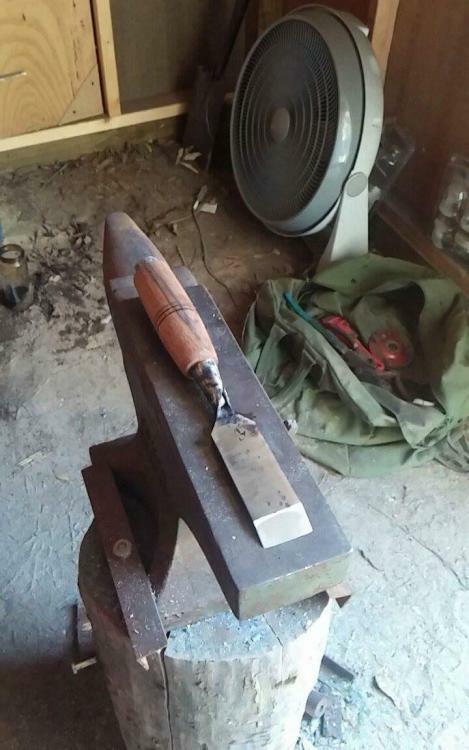 I made my first socket handled chisel this past week. The steel is from a leaf spring, which hardened quite nicely, and the handle was turned from a chunk of an oak tree I cut down last year. It wasn't perfect, but is quite functional and the new owner was quite pleased. its not perfect but close to being. I know that I would be pleased to own it. did you just fold over the socket or did you also weld it. forge welded or electric? sounds like a challenging project not to completely melt it if you forge welded it. 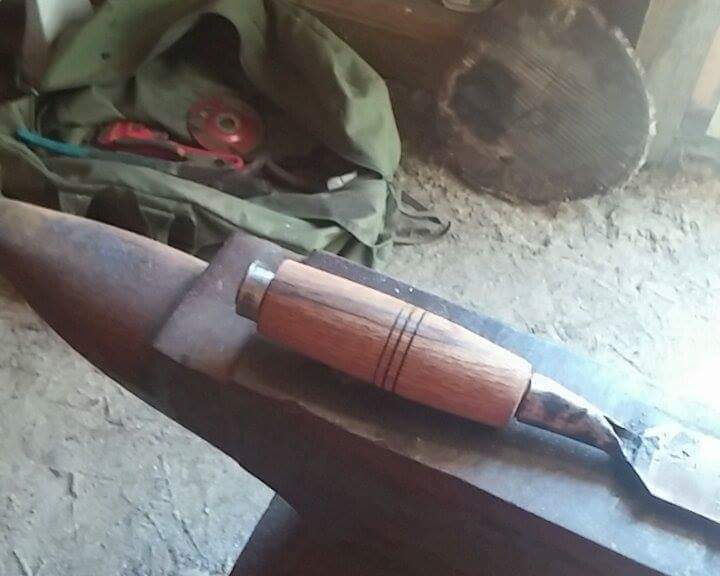 Looks good, one thing would be to leave a bit more taper on the handle so if (as) the wood dries shrinks and gets hammered in you can keep driving the handle further in. But great job!